Gary Carden - City Lights Bookstore, Saturday, March 2 at 3:00 p.m.
Folklorist and storyteller, Gary Carden will visit City Lights Bookstore on Saturday, March 2nd at 3 p.m. to tell the story of The Hanging of Bayless Henderson. Convicted of murdering N.S. Jarrett, Bayless Henderson was hung in Webster, NC on June 6th, 1873. Gary will tell the story and share the details of this unique piece of Jackson County history. This is a ticketed event and seats are limited. Tickets are $10 and can be purchased through City Lights Bookstore by calling us at 828-586-9499, or come by the store at 3 E. Jackson St. in Sylva, NC. Merry Elrick, Haywood County Representative for NCWN-West invites all who live in the area to attend the meeting of Mountain Writers on November 10 at 1:00 p.m. at Blue Ridge Books, 152 S Main Street in Waynesville, NC. 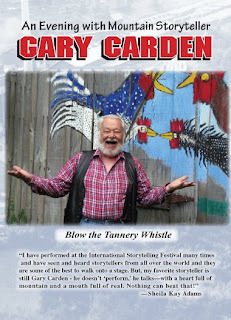 Gary Carden, legendary storyteller in our region and an award-winning playwright is the special guest. 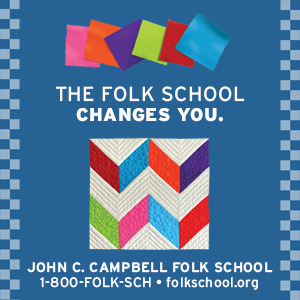 Among the many other awards he has received is the 2006 Brown-Hudson Award from the North Carolina Folklore Society and the 2012 North Carolina Award for Literature. Carden has an honorary doctorate from Western Carolina University for his work in storytelling and folklore. 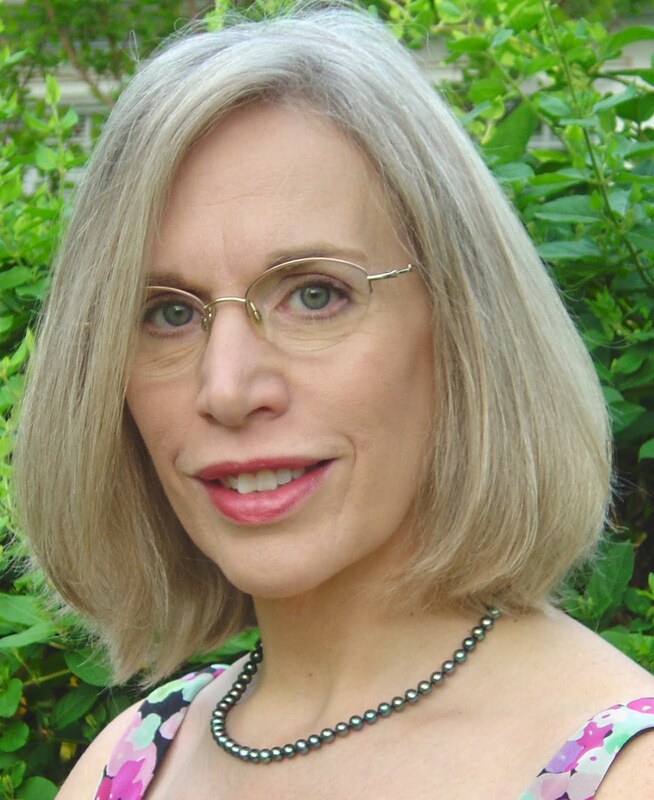 The public is invited to enjoy this great speaker and meet other local writers. 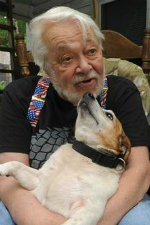 Gary Carden, playwright, storyteller and writer of wonderful tales, sent his news a few days ago. I have just been awarded the North Carolina Award in Literature. It is the highest award given by the state. The awards ceremony will be held in Raleigh on October 30th. Congratulations, Gary. You deserve this special award. Your friends and fellow writers in NCWN West are proud of you. To be from Appalachia--to be at home there and to love it passionately--informs the narratives of each of the sixteen storytellers featured in this work. Their stories are rich in the lore of the past, deeply influenced by family, especially their grandparents, and the ancient mountains they saw every day of their lives as they were growing up. 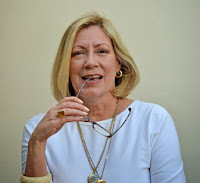 Writer and storyteller Saundra Gerrell Kelley has contributed articles to the Jonesborough Herald & Tribune, the Tallahassee Democrat (Florida), and the north Florida environmental anthology, Between Two Rivers. She lives in Jonesborough, Tennessee.